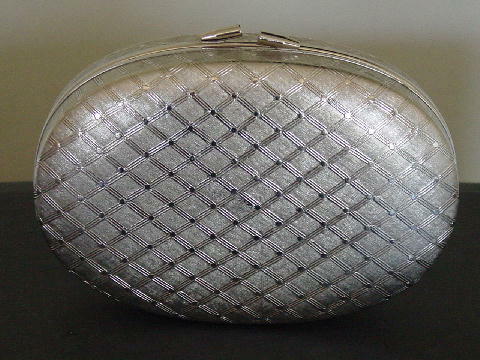 This vintage silver-tone oval shaped evening purse was made in Italy. It has a tone-on-tone pattern of rows upon rows of multi-line triangles and dots. 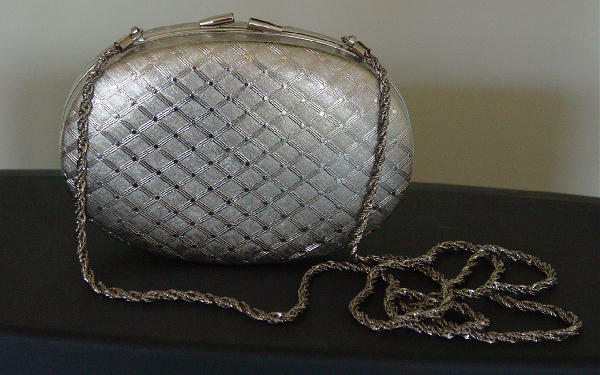 There is a 49" long shoulder strap of a dark silver-tone woven metal chain. It has a modified bypass closure with a black velvet lining. 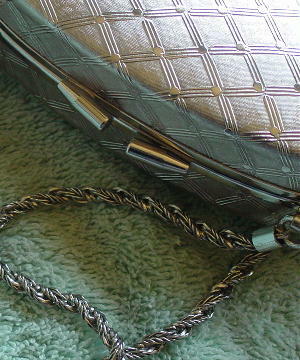 The prongs of the shoulder strap can be tucked in so you can carry it as a clutch. She wore it to the Academy Awards ceremony.